He's already been a champion for 3D, but can James Cameron and his Avatar sequels give 4K more impetus and re-open the great HFR debate to boot? The trailblazing director has told RTL.fr that he is still debating whether to film the entirety of his return to Avatar's world Pandora at high frame rate's (HFR) 48 frames per second or just some sections. HFR was widely criticised when used for The Hobbit, but Cameron has never been shy about backing technology in his own films and will make his own decision on the matter. "Well we're looking at high frame rate: I'm studying that," said Cameron. "I haven't made a final decision yet, whether the entire film will be made at a high frame rate or only parts of it." Cameron also explained that he was shooting the film in 4K, something which should resonate with those waiting eagerly for an explosion of 4K content as televisions begin to adopt Ultra HD. "You know we'll be shooting at a native resolution probably of 4K and so there should be a lot of true 4K theaters by then as well," he added. 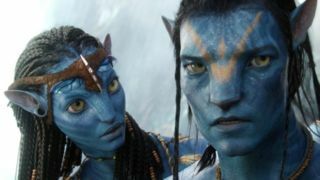 The Avatar sequels are, of course, likely to prove to be box office gold - but with 3D still battling to slip the noose on its gimmick tag, it remains to be seen if that can translate into increased popularity for HFR and 4K. We interviewed Cameron on why he was backing 3D back in 2012.